Catalyst Team Building is operated in Portugal under exclusive licence by Catalyst Portugal, Portugal's premier team building company. 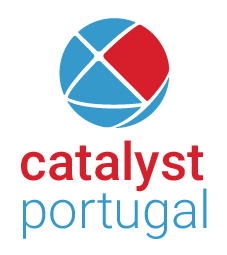 At Catalyst Portugal we have been delivering innovative team building and training solutions in Lisbon, Porto, Braga, the Algarve and at other locations across Portugal for over 20 years. Our team building and training exercises have been designed to create lasting change in organisations addressing objectives such as change management, networking, strategic planning, process improvement, customer relationship management and much more. At Catalyst Portugal we know that happy teams working well together, are essential to a company’s bottom line and ongoing success. We are proud members of the Catalyst Global network, an association which enables us to be able to deliver cutting edge business games and training solutions to an excellent standard.